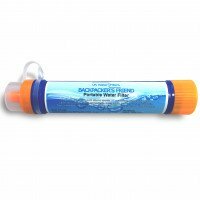 Our Super Water Filter is a great all rounder. It contains top grade Granular Activated Carbon to give you the best tasting water for your caravan or boat. It also removes other impurities - such as trihalomethanes (THM), pesticides, industrial solvents (halogenated hydrocarbons), polychlorinated biphenyls (PCBs), and polycyclic aromatic hydrocarbons (PAHs). Plus the filter delivers truly great tasting water that makes you feel more alive. 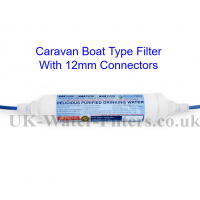 Please note while this filter has a powerful performance it does not remove bacteria It is only designed for use with "potable" water ie mains water that you would typically fill your tank with from boatyards and caravan parks etc. Exercise common sense, particularly if outside the UK, by additionally boiling drinking water if you suspect it may require this. 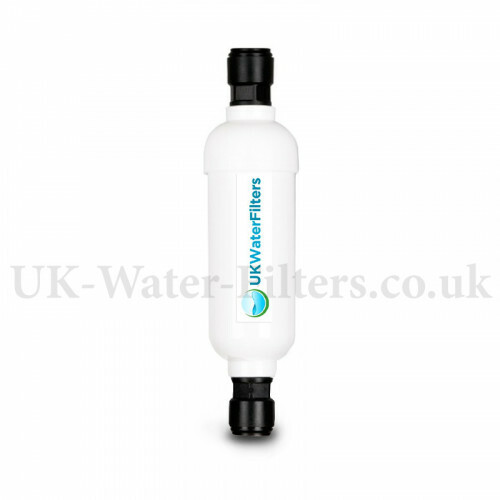 The filter can be easily fitted in line into your water supply pipe. It lasts for 12 months or 3800 litres (whichever is sooner) before replacement. 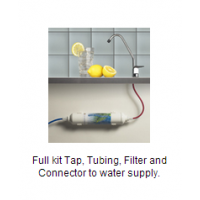 The filter can fit in line into your water supply pipe. 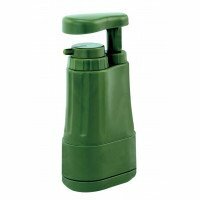 It does not affect your water pressure but provides unlimited high flow quality drinking water for all your drinking and cooking needs. 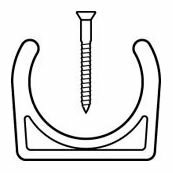 Great product and prompt, efficient service. Highly recommend. 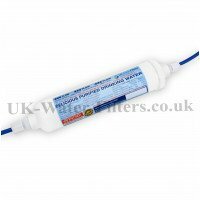 UK Water Filters properly respond to inquiries and orders! All arrived well cheers. The filter is now fitted in our camper van and we are very pleased with it. The missus now want one for home!